Thanks to the versatile platform that powers 2020TouchControl, it has application across segments. The application can be customized depending on the specific needs of your segment, operations and business. At 2020 Imaging, we tell what is happening. By aggregating alerts from your different systems at one place, we give you a place to start, a future where everything is information safe, a situation where complex data management requires minimal manual intervention. 2020TouchControl brings actionable intelligence at your fingertips, a one of a kind experience. 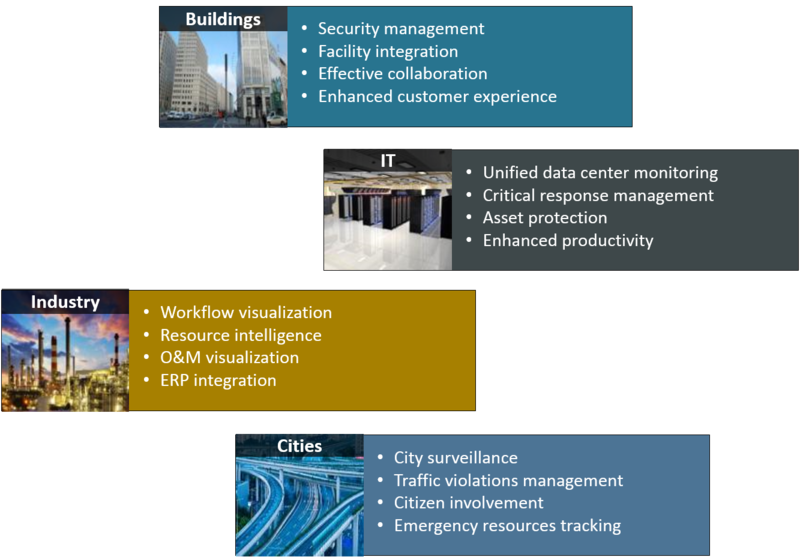 Be it Homeland Security, Smart Cities, Energy, Infrastructure, Industries, Integrated Townships, Commercial Buildings, Hospitality, Real Estate, Healthcare, Retail, Banking or Data Centers – the collaborative 2020TouchControl will interact with multiple data sources and will give you a unique way to manage your operations.